Gorgeous landscapes and zen harmonies while trekking in these valleys where nice and welcoming ethnies have been living for ages. 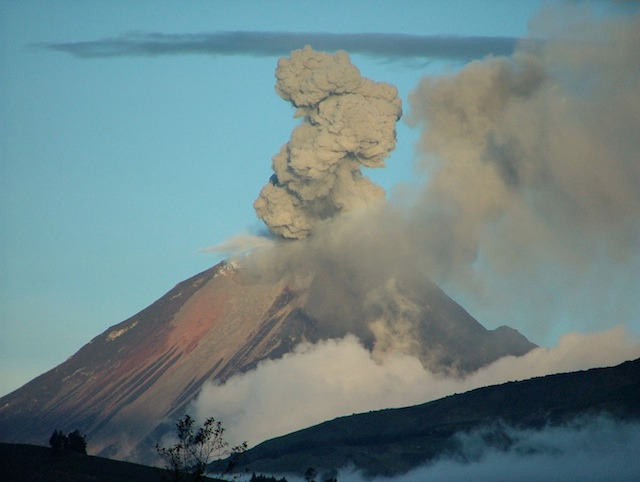 Of course we speak about Ecuador, the land of volcanoes. Dozens of lava colossus, of various sizes and level of activities are the sentinels of the ecuadorian Altiplano. 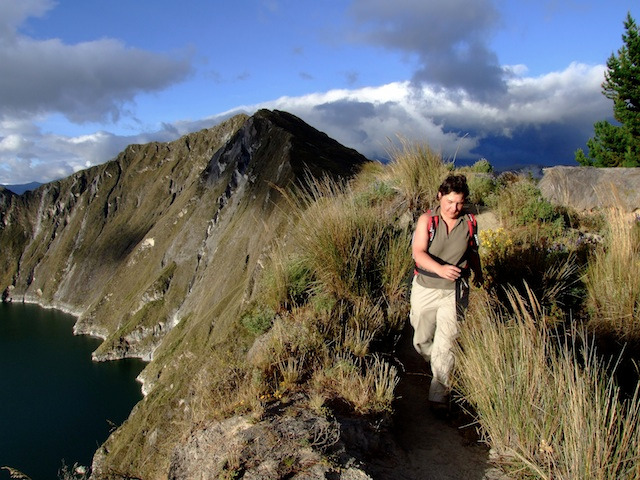 This trip will help you discover this wild diversity thanks to daily walks in order to let you gradually understand Ecuador authentic hidden natural and human treasures. During this 3 weeks, you may feel our moutains energies and focus on local indigenous markets for a global picture of the paramos, from Northern to Southern Ecuador. You will spend the night at Sierra Madre hotel, close to La Mariscal turistic area. You will spend the night at Hacienda Pinsaqui. This historical sport has been built in 1790 so as to be a textile workshop, employing at that time 1000 persons. This place is an invitation to share its magical and romantic atmosphere. Across the centuries, Pinsaqui received many famous peoples, among them the General Simon Bolivar, Ecuador's libertador, who stayed there for its trips to Colombia. In those times, the peace treaty between Colombia and Ecuador has been signed and is known as the "Pinsaqui treaty". The actual hacienda keeps the genuine character of this period, as well as the antique furniture. It remains a perfect stage for antiques lovers. 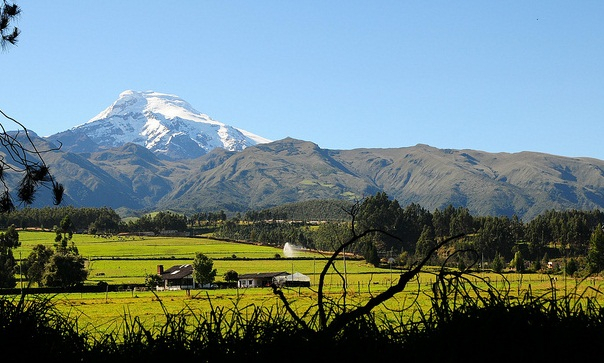 You will return to Quito from Cayambe through this beautiful mountain scenery. 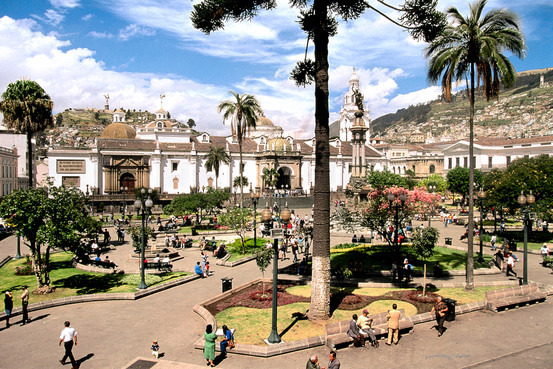 You will observe the inhabitants of this region, with typical clothes, on the edge of a path that is a symbol of modernity in contrast to practices inherited from the pre-Inca civilizations. You will spend the night at Posada Mirolindo in Tababela, close to the airport. 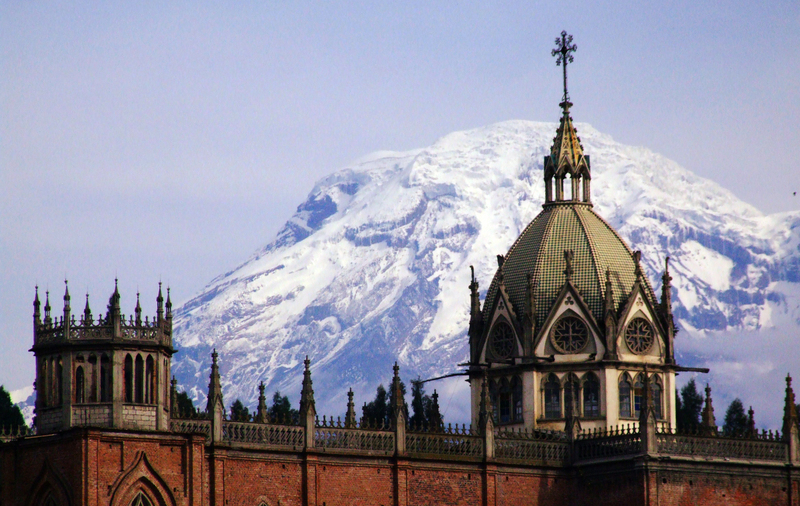 Journey to the South by the famous Volcanoes Avenue, to arrive to the Pasochoa natural park. The hike starts at 2800 m in the wet forest with mouss covered trees, bromeliads, bamboos and orchids. 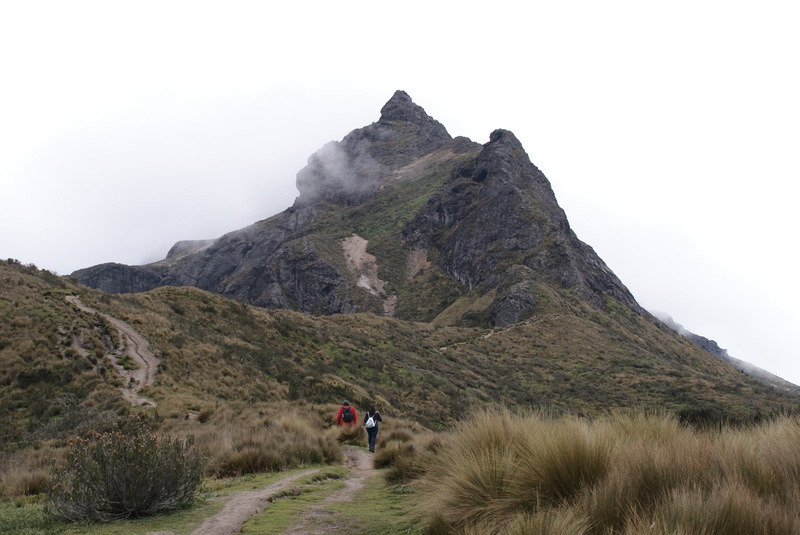 You will walk up to 3200 m to the transition area between this typical forest and the paramo. More than 120 bird species live in this place. This is a perfect opportunity to watch hummingbirds and maybe even a majestic condor. 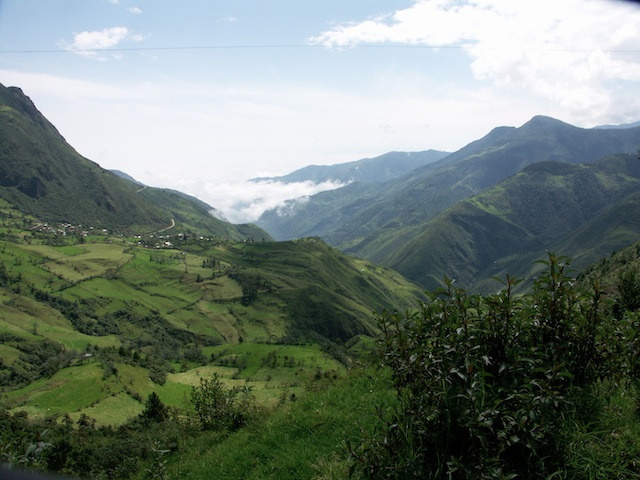 Back on the road and after a few saddles you will arrive at the heart of the Andes with amazing views before reaching the small Andean village of Isinlivi. Today you will have a Box Lunch. Day in liberty to discover Chugchilan and surroundings. You can visit a fabric of cheese, or meet with the apprentices of a cabinetmaking, go for a horseriding until Quitlotoa o just walk around on the endless paths that will have you amazed by these spectacular views that offers this singular region. 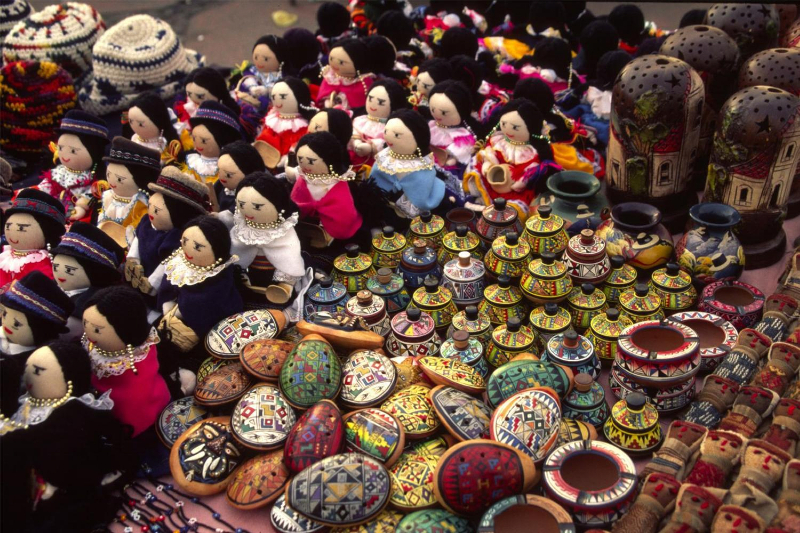 Visit in the morning of the very typical Indian market of Zumbahua (only on Saturdays), the opportunity to observe how traditions have been conserved with the Andean Indians. You can find there anything from washing powder ti spices, chicken feet, fruits and vegetables, ponchos etc... the lower part of the market is dedicated to the sell of cattle: llamas, pigs, sheeps are negociated and sold to the best offer. Stop in the village of Pujili to visit its colorful and hardly touristical market (on Wednesdays and Sundays). 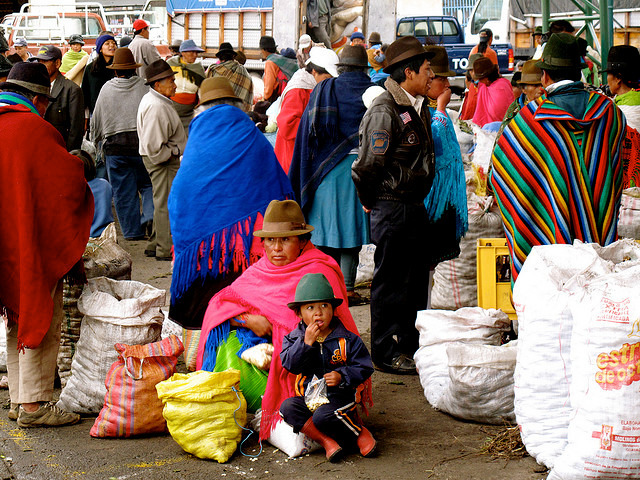 Many indigenous come to this market to sell and buy anything from cattle to cotton. You will spend the night at "Tigua Farm", a traditional farm that makes its own cheese and other "homemade" culinary specialties that you will have the opportunity to enjoy during dinner. Thanks to the warm welcome of Margarita and her sons, this is an opportunity to get a closer look at rural life in a simple and comfortable setting. You will go south on the volcanoes Avenue to Salcedo, famous for its ice creams. You will make a stop over for about 2 hours to visit a plantation of the famous ecuadorian roses. Ecuador is indeed one of the first exporters of roses and those are famous all over the orld to be the prettiest. Produced at more than 2500 meters of altitude, the roses have real intense and strong colors. The minerals that come down from the volcanoes make the rose buttons grow bigger. To be close to these mountains allows access to partucularly pure and of hugh quality water. At Nevado plantation you will have the opportunity to learn how thay are tainted and to see and taste multiple products based on these flowers, in particular the organic lunch for you based on rose petals. You will spend the night at "Bambu Hosteria" hotel in Riobamba. 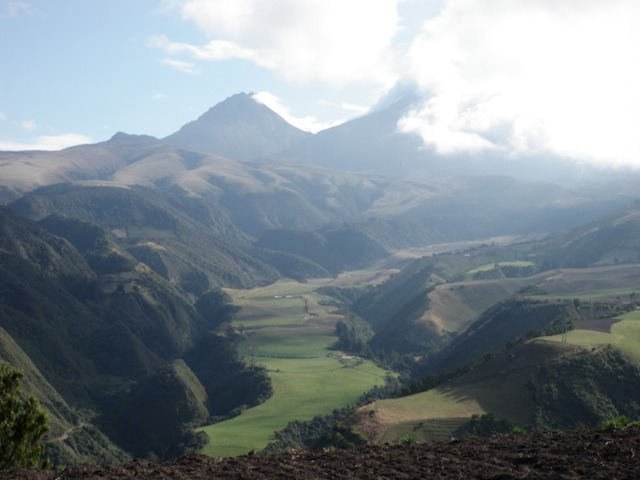 You will take the route towards the community of "Casa Condór" that is located next to the Chimborazo volcanoe. 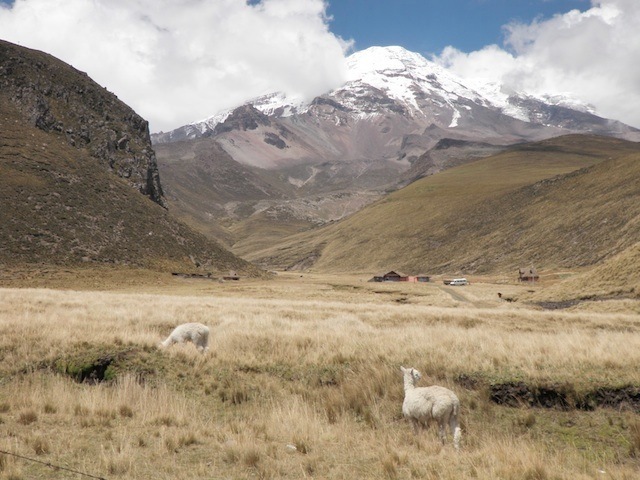 Then you will visit the community where you will see how people breed alpacas, create beautiful crafts and you'll learn about the project of reforestation. Visit of a Tagua workshop. The Tagua is a vegetable ivory and thus a fantastic way to replace the animal ivory. The material, the size of a big egg, comes from a small palm tree which is dried and sculpted when the bark falls. 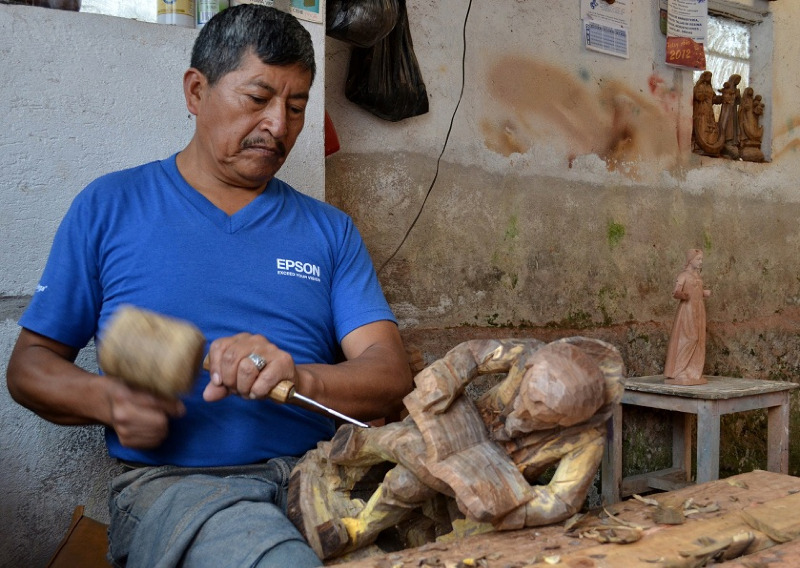 Many artists realise superb pieces which really look like ivory after being polished. You will spend the night at Samari hotel in Banos. You can relax in the spa or enjoy the swimming pool, jacuzzi, sauna or turkish bath at your disposal. Possibility to have a massage to reserve on site. 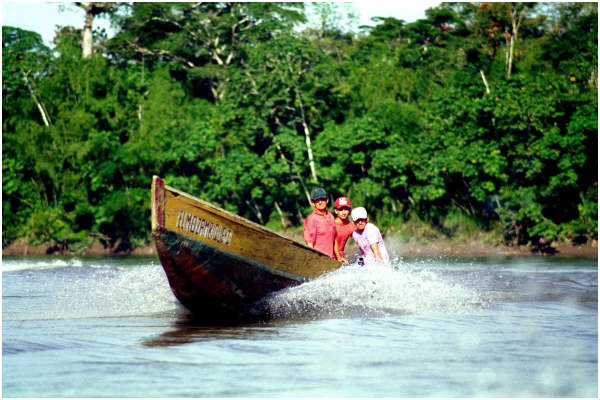 Trip from Banos to the Oriente, that is to say to Amazon region. 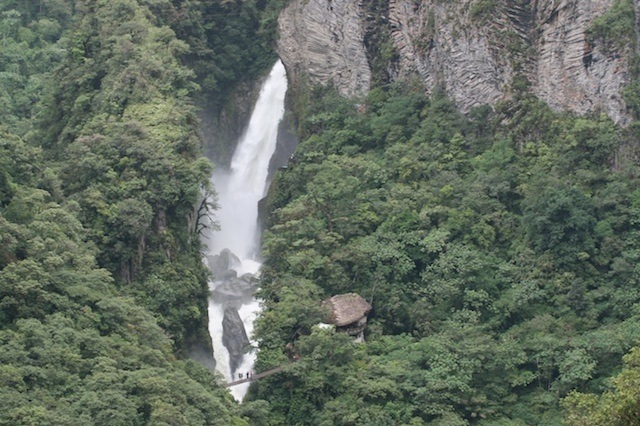 Following the "Ruta de Cascadas" (waterfalls road) along the deep and vertical gorges of the Pastaza river, you will observe a change in the ecosystems from 1800 to 950 meters, with spectacular views over the upper Amazon and a dozen of waterfalls. 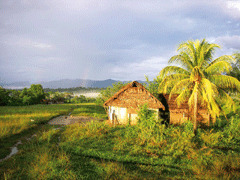 You will arrive in the afternoon to the Lodge where you'll have a first trek to the jungle. Then your dinner at the Sacha Sisa Lodge where you will have your first night. In the morning, going along with an indigenous guide, you will walk through the jungle to discover many species of medicinal plants and their properties. 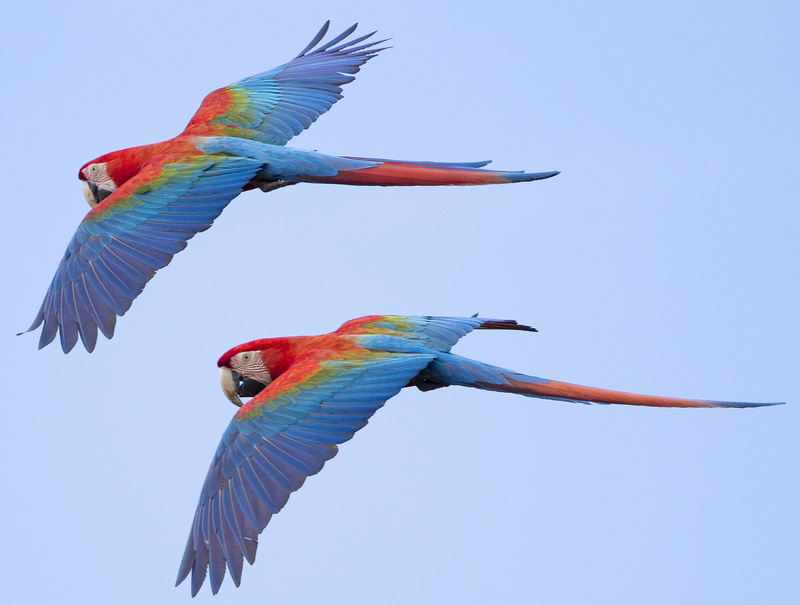 Keep your eyes open, with no doubt you will see monkeys and birds in their natural habitat. Depending on weather conditions and the group's wishes we can plan the program of the day. 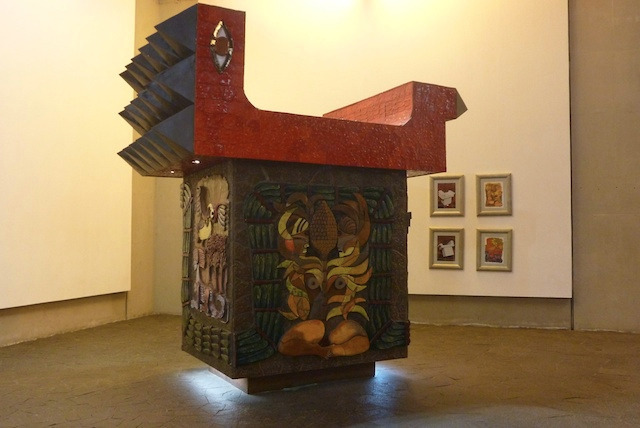 You will discover likewise what is "chicha", a traditional beverage, and the making of chocolate as has been done for generations. Dinner and second night in the Lodge. After breakfast you will go for an observation of the prehistoric birds "hoatzin" and then you will pay a visit to the kids of the community before eventualy return to your vehicle. 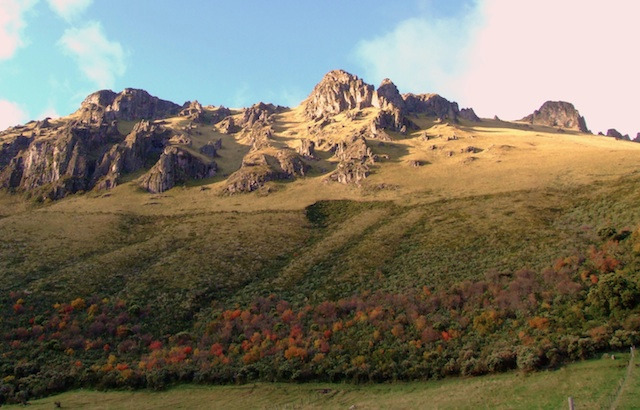 Following the road to Tena and Baeza which climbs all the eastern cordillera up to 4000 meters, you will observe the evolution of the ecosystem from the tropical environment to the Andean paramo. After the warmth of the jungle the hot pools will relax your body and mind. They are the most luxury and best maintained baths in the country. Rest in the hot springs of Papallacta. 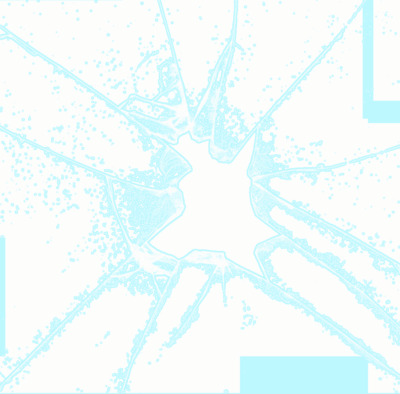 A bath in the warm waters with a stimulating air can only win colors. Keep in mind, however, that sometimes it can be cold and that if you are afraid of sudden changes in temperature, it will be better to abstain. In this case, a restaurant-cafeteria will serve as a refuge to admire the beautiful vegetation of this corner. Free time and then back to Quito, passing by a mountain pass that will make you discover an impressice landscape of paramo.